Just mentioning the name Singer, evokes images of sewing machines, even for people who have never made a single stitch in their lives. 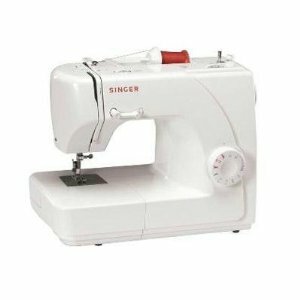 Yes, Singer is a company that is synonymous with the best sewing machines, and one of their newest models, the Singer 1507 8-Stitch Sewing Machine, is one of the best sewing machines for beginning sewing enthusiasts, or for people who need a reliable, no-frills sewing machine at a very affordable price. This entry-level sewing machine has all the features you need to successfully handle any basic sewing or mending project that comes your way. Once you’ve been sewing for a short while, you’ll want to experiment and try different types of stitches. There’s no worries when you use the Singer 1507 8-Stitch Sewing Machine, because even though it’s a basic sewing machine, it still gives you easy to adjust settings for a wide variety of stitches. You get full control over the pressure and stitch length, so you’re free to try some more advanced sewing techniques without worrying about a complicated set up process. That’s how you get better at sewing, and Singer makes it easier than ever to practice your craft. It’s nice to know that Singer keeps the customer’s needs in mind when they made the Singer 1507. Since people rarely want to stay in one spot when they sew, this machine makes it simple to move from one location to another. If you get tired of sewing in one room, and want a change of pace, simply unplug and pick up the Singer 1507 Sewing Machine using the handy carrying handle. It’s light enough to carry and you can even take it on the road with you, as its dimensions are only 15 by 8 by 12 inches. The real test of any sewing machine is how real life customers rate it. 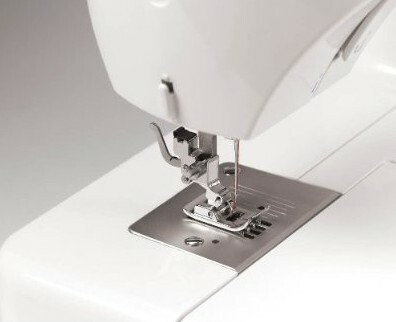 I scoured the Internet for customer reviews and found nearly 50 Singer 1507 Sewing Machine reviews from real-life customers and users of this sewing machine. The online reviewers routinely said things, like “Love it!” and complimented the Singer 1507 as a great machine for beginners. This is always a good sign, when there is a happy crowd behind a machine. With reviews like that, and an overall high score, you can certainly understand why the Singer 1507 8-Stitch Sewing Machine is one of the most popular sewing machines on the market. 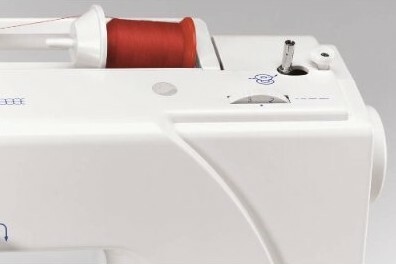 It’s an everyday workhorse of a sewing machine that comes with one of the most affordable price tags you’ll ever find. That’s a winning combination for anyone in need of a great sewing machine.